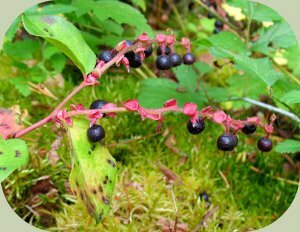 Wild edible berries are a delight to find and to eat! There is a wealth of wild berries throughout North America, and a great number of them grow in the Pacific Northwest region. Berries come in many shapes, colors and flavors. Here are some details to think about as you go out searching for these wild delicacies. Though they are delicious, and fun to collect, edible berries also contain vital nutrients important in maintaining our health. For instances, huckleberries and blueberries contain vitamins E, C & A, as well as small amounts of iron, copper, potassium and calcium. Another member of that genus – cranberries - are high in vitamin C as well as dietary fiber. Wild berries are a great source of flavor and color to add to many meals and can help encourage greater health when eaten in moderation and as part of a well balanced diet. In a survival situation, however, it must be remembered that berries are not necessarily enough to keep you going for an extended period. 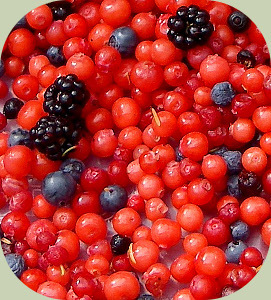 Wild edible berries provide a source of vitamins and a quick boost of sugar. During an extended survival situation, it is also vital to get foods that are richer in fats. Under the duress of survival situation, eating berries can help keep your physical energy and moral up. If possible, include fat rich foods such as nuts and seeds or possibly wild meats to keep your body nourished. Wild berries can be found in many different locations, from the wild, forested mountains to the suburban and rural hedgerows. Huckleberries tend to be found in forested areas throughout the Pacific Northwest. Wild strawberries are often found in woodlands, forests and some species even grow on and around coastal dunes. 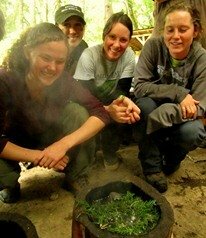 As with other wild foods, remember to collect them from locations that are clean, and pollution-free. Do not collect from busy roadsides, or near industrial areas were pollutants tend to accumulate. Wherever you might see them, edible wild berries are a delight to find and to eat. Go out and find some! How to use edible berries? Edible wild berries come in a wide variety of flavors, from the mouth-puckering sourness of Oregon grape to the mouth-watering sweetness of wild strawberries. 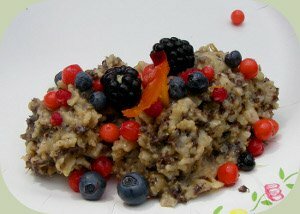 Some species, like the elderberries (especially red elderberry) should not eaten raw, but rather cooked down and turned into jam or preserves. For an excellent pancake recipe, you can throw a few fresh blackberries, blueberries or huckleberries into a pancake mix of your choice. Cook them as you would regular pancakes and add your favorite topping, which might include more wild edible berries. What kinds of berries are out there? For more resources on identifying wild edibles such as edible berries, check out our Wild Edible & Medicinal Plants Courses. Also, check out some of our other articles on specific berries here: Red Huckleberry Plants and Wild Strawberries.